Before Winchester set the world on fire with Black Talons (known in some circles as the “cop killer” ammunition), the Winchester Silvertip existed. 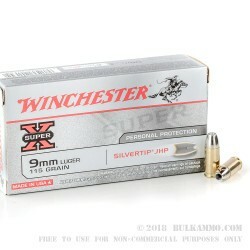 After the 20 different newcomers to the self defense and duty ammo segment arrived on the scene, Winchester silvertips still exist and get the job done. The Winchester silvertip hasn’t changed much since its introduction. It’s still a competent self defense round and it still has a very loyal following. 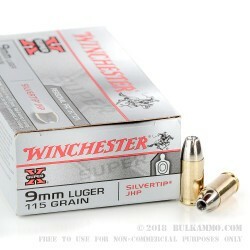 Whole ammunition manufacturing companies have come and gone since the introduction of the Silvertip, let alone the countless specific loads that have failed while the Winchester Silvertip has thrived. There just isn’t anything bad to say about the Winchester silvertip, and this is one of the rounds that made it such a mainstay in the American personal defense market. 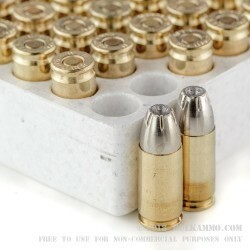 This 9mm 115 grain load is about as popular a round as there is, and this is a load that has made it such a legitimate personal defense option. It moves fast, hits hard enough, and expands like a hollow point is supposed to. 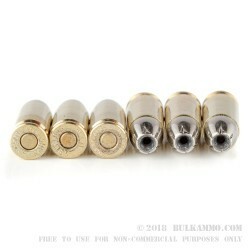 In fact, as one of the original specimens of a hollow point projectile from an engineered bullet perspective, the Silvertip has serious credibility. Well priced, real ballistic performance, and a name brand that is almost above reproach. Winchester Silvertip 9mm delivers on its promises.